Amid rumors that Apple is ramping up efforts to sell its wares in India, a report on Thursday claims the company is "very serious" about starting up iPhone production operations in the country by the end of 2017. Citing industry sources, The Times of India reports Apple supplier Wistron is currently prepping an iPhone assembly facility in Peenya, an industrial center in the city of Bengaluru. The plant is slated to start production in April. With Wistron on board, it appears Apple plans to assemble its handset in India prior to transitioning to full blown manufacture. Beyond the logistical benefits of producing a product in-country, an Indian iPhone manufacturing plant will help Apple keep local prices competitive by avoiding a steep 12.5 percent import duty. While no commitment has been made, the report suggests the company is considering Bengaluru as a base of operations. "Bangalore is being looked at seriously," said Wistron sources. Backing up industry scuttlebutt, Apple this month posted to its Jobs at Apple webpage a pair of production related listings in Bengaluru. Specifically, the company is looking for an iPhone Operations Program Manager (OPM) and a New Product Introduction (NPI) Product Quality Manager, both of which list years of manufacturing experience as a prerequisite to hire. 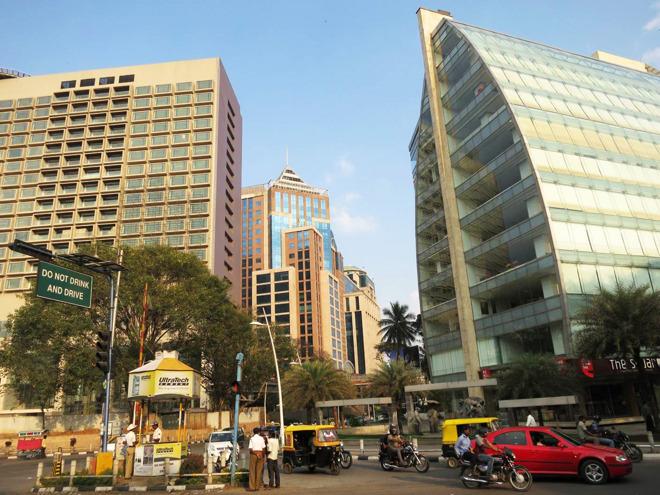 Bengaluru is quickly becoming a major hub for Apple's India operations. In July, the company leased more than 40,000 square feet of office space in the city for a planned Design and Development Accelerator. Set to open next year, the accelerator will assist local software developers in coding for Apple's various platforms including iOS, watchOS and tvOS. Today's news comes amid reports that Apple is looking to India to bolster waning Chinese market sales. Though the region has a less than voracious appetite for high end smartphones, data from Counterpoint Research in November suggests Apple is leading the segment with a 66 percent share of premium handset sales. There is still much to negotiate before Apple decides to move forward with manufacturing plans. For example, it was reported today that the company in November requested India waive the requirement to print product information like technical specifications and bill of materials directly on an iPhone's casing, a stipulation that would sully the device's minimalist design.